If you want to start a water bottling business, you will have to study the local competition. When your competitors have weaknesses, you can use that to your advantage. Create a business plan and business website. With the right advertising methods, you can attract potential customers. You also have to comply with the government regulations. How to Start a Water Bottling Business? Safe water is very important these days and since this is an essential need, a lot of people are willing to purchase bottled water. With this great demand for clean drinking water, you can start your own water bottling business. People were used to drinking tap water several years back but today, its use has decreased considerably. Before you begin with the startup process, you will have to create a good business plan. Learn everything you can about water bottling. You can surf the web for more info so that you can make the right move and decisions. Bottled water is available in different forms – spring water, purified water, mineral water, sparkling water, artesian water, and well water. Determine the availability of water in your area and you can consult with the International Bottled Water Association. This is important so that you can comply accordingly. The bottling equipment is vital in selling clean water. Aside from the source of water, you will also need bottles, labels, caps, and sterilizers. If you want, you can stick with eco-friendly designs. During startup, you can lease out the machines and equipment you need. This is ideal to test the water before you start purchasing your own equipment. The government regulations usually vary from one country to another. This type of business is under the FDA (Federal and Drug Administration). The said entity is responsible for ensuring that the bottled water is safe from procurement and processing. It will also cover the bottling process and finally, the transportation. You have to determine the rules in advance and make sure that you don’t violate anything. By doing so, you will sell pure and consistent bottled water. Never sell tap water, claiming that it is bottled water. Otherwise, Environmental Protection Agency or EPA will sanction your business and may result to a closeout. This is a highly competitive industry and you must ensure that you’re marketing water effectively. Identify the weaknesses of your competitors and use it to enhance your business. If you can offer something unique, customers will surely patronize your business. To increase your sales, you can sell bottled water during soccer games, basketball, and other sporting events. You can even maintain an online business site to reach a wider market. Make sure that you provide for a shopping cart to make the buying process easy. You can use the business plan to secure capital for your new business. With the right advertising methods, you can make lots of money. 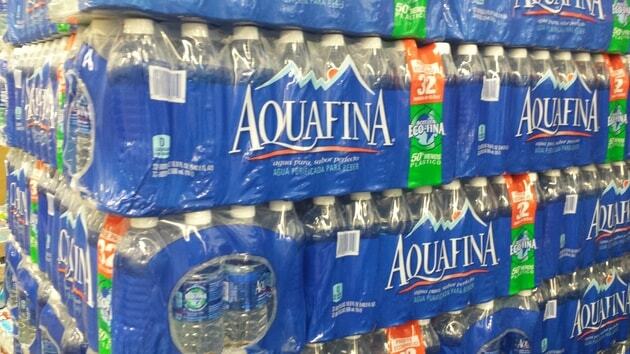 Ways on how to sell bottled water is just the same means of selling a typical product. All you need to do is create some variations that will produce nicer outcomes. Canâ€™t wait to start your own delivery business but donâ€™t know where to start? Here are some useful information and tips to help you start your own bottled water delivery service biz. Dear Sir/ Madam, I wish to write a project concept note and a proposal on a small water bottling plant in Kenya. It could start as a cottage industry but the two documents are key for financing. really look forward to your assistance. regards, Jane Wambui. Thanks for an opportunity of this magnitude. Your type is rare and I'll wish you keep up the good work. Please I'll wish you mail me a detail know how of starting a pet bottling outfit business plan. My location is in Ogun State, Nigeria. I know I have to be duely registered with the regulatory agency. I also wish to know the best brand of machine to be used, what is meant by reverse osmosis etc? Best regards. Thanks. I want to establish a water bottling plant in Lucknow, India. Please guide me in detail. Thanks. @Pratap, Please let us know the capacity of the plant you are planning to start. We can give complete guidance in starting a water plant. Feel free to reach us for any clarifications. i am ready to invest in water bottle plant 1 ltr and 20 ltr in faridabad (haryana)India. Kindly suggest for costing, profitability and about process. I want to start water bottling plant in Jaipur (Rajasthan, India) of 1 Ltr, 2 Ltr and 20 Ltr. Pls provide estimated cost, infrastructure details, process, govt. regulations, and margins. @Seshathri, @Manish Shama, Please let us know the planned capacity of the plant for further details. I want to start water bottling plant in maharashtra district preferably in nardana midc. Please advise me on cost of setting up the plant and rates at which mineral water can be sold in bulk quantity. I want to start bottling business in kolkata. please advise me the estimated cost to start the business and a proper locations. I want to start minral water bottling plant at Dhanbad, Jharkhand, India. pls. provide me all basic information like cost, machinery, pricing, govt licensing, man power and marketing . thank you. Hello, I was in the middle of my research into water bottling business possibility when I run onto this site. I am trying to learn all I can about the business before deciding if it is something I want or can delve into. I will appreciate any recommendation for literature that will help me do a thorough investigation of the industry, particularly as it relates to Africa. Thank you for your time. @rajendran pady, Dear Mr. Rajendran Pady, We can definitely give you complete guidance on starting a bottling plant. Please let us know the capacity of the plant you are planning to start. Contact us for any clarifications. Thanks!! I am from Ethiopia, i wanna do packed mineral water business in my location, i dont know the business analysis ? Pls can you help me by sending worked document of packed mineral water? - costing included for 1000 lph plant in west bengal. - employees required for start up. I want to do packed mineral water business in Addis Ababa (Ethiopia). Please could you help me by sharing any working documents and tools of packed mineral water. Thanks in advance for your collaboration. Sir/Madam, I have neat & clean also fresh water source in my own land at SIKKIM state. Hence, I want to setup mineral water project with an experienced mineral water project company. or I want to give it in lease basis to an experienced mineral water project company. Therefor I am waiting for your nice suggestion. I'm Sebastian from Papua New Guinea, located above Australia in the South East Asia and Pacific Region. My area has an abundance of fresh mountain water in which I want to bottle to target the overseas markets. Let me know if these idea sounds good, if my bottle water can stand out from the rest in this highly competitive market as an unique product. I am planning to establish drinking water bottling plant in rajasthan. Please guide me for min. Cost & land area required for 1000 lph plant capacity. I am a citizen of Kenya in Africa and I am interested in investing in a drinking water bottling plant. I come from an area with plenty of flowing natural water from an highland of growing bamboos. What is your comment. Also advice me on what type of equipment and machinery to use on a small medium plant.What is the possible cost of investment. What are other logistical requirements? Thank you. I want to start mineral water bottling plant at mohan nagar, ghaziabad, UP, INDIa. please provide me basic information like cost, machinery, pricing, govt licensing, man power and marketing. I have a factory at mohan nagar near a river namely, HINDON . THANK YOU . Please suggest procedure and government regulation to start a bottling factory in jamshedpur, jharkhand. i am ankit karn from india and i want to start a new bottle plant in bihar, INDIA, so please help me from the basic. i am waiting for your response bye..
Dear Sir, I want to start a new business of water bottling plant, so give me suggestion for that. What kind of basic things are there first of all done. How investment are sufficient for this plant. Give the guidance of starting my new business. sir, i want to establish packed drinking water bottle factory in lucknow. pls give me guidelines about all formalities including legal formalities. Dear sir, I want to start small mineral water bottling plant at garhwal, uttrakhand. please provide me basic information like cost, machinery, pricing, govt licensing, man power and marketing I am waiting for your nice suggestion. etc. Hello sir, Myself rachit. I belong to gurgaon, haryana. I want to start mineral water bottling plan. so pls give me all important suggestion. I waiting ur reply. Dear sir, I want to start small mineral water bottling plant at distric gonda, uttar pradesh. please provide me basic information like cost, machinery, pricing, govt licensing, man power and marketing. I am waiting for your nice suggestion. etc. I want to set business in Pune City, Maharashtra State, India Country and what are the capital investment for this business. We can supply machinery for drinking water in pouch for africa at good prices. Kindly contact. I want to start a bottle water industry. In my village odint ..Ladnun raj..So i want know all starting details. i am in salem ,tamilnadu, india. small scale company about water business, can u chat about the license and what are other logistical requirements? sir. i am interested to start bottle manufacturing unit in perumbavoor, kerala. sir i need the further requirements to start this. i owned about 1 acre of land. pls help me to do this project. sir i need all related information about this and also can we export this bottles pls mail to my mail id. athi.jinu@gmail.com. so pls provide all related information as soon as earlier. am waiting for ur reply. Dear sir/ madam, i am interested to start in miniral water bottle manufacturing company in Mumbai maharashtra please give me advise how to start this. what is a best equipment for me for this purpose please advise me. i am waiting for your reply. I live in Minnesota, America ..Have water, will export. Need info & guidance. Hello sir please say how to start the miniral water plant. It is my believe that you are a repository of knowledge in various area of endeavors and most especially Water Bottling venture . So I would implore you to assist me with the where wither to set up a medium size Water Bottling firm in Akure Ondo State of Nigeria . Please receive my highest regards . I want to start highland spring water bottling plant in sheko woreda bench maji zone Ethiopia .so please give me information water plant investment & project proposal. Dear Sir,my name is Wei Jian Tan,a 20 year old boy from Malaysia who keen on starting a water bottling business. I'm here humbly to ask for guidance and opinions over the matter about where I should start from or perhaps if there are any courses available for me. Thank you. thank you so much for the write up. however, i plan starting a bottle water company. pls i need you to enlighten me on how to write a proposal for it, the things i would need to start off with, and also can i start with #50,000? I am thinking to start a business of water bottling in jharkhand Please guide me with all details including the Infrastructure cost, Govt regulations and the departments involved, Licenses and Margin mob.+91-9955064472/9905456996. Thanks. I want to start a new project of flavoured water in Madhya Pradesh. so plz provide me some related information regarding process, machinery requirement, demand, cost of whole project, regulatory requirement and other necessary information. Thanking You. Dear Sir, I want to set up a mineral water plant with RO + UV TREATED & OZONISED in West Bengal. Pl. send me the rule and regulation & how to capture the market for best result, pl advise. am 4m Manipur, am thinking to start mineral water plan in my place, thinking to start it in a small scale, need help regarding machineries cost and maintenance, any bankable facilities. hi, I am from dhanbad, jharkhand. I want to start a mineral water business in dhanbad. I want to know that is it good to start this particular business. is this business is profitable? what are the requirements? and how much money is required?